Security is on everybody’s mind nowadays. 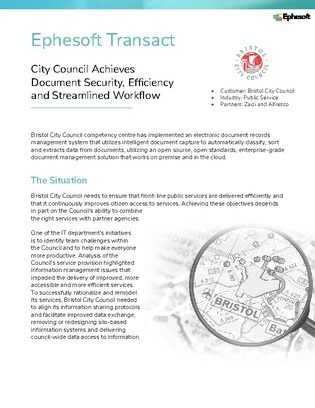 But, efficiency and streamlined workflow should not need to be sacrificed for the benefit of strong document security. Learn how to implement this scanning and archival system to potentially enhance your document storage, thus improving accessibility and performance.